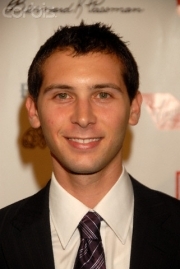 Justin Tyler Berfield is an American actor, writer and producer, best known for his portrayal as Malcolm's 2nd-oldest brother, Reese, in Malcolm in the Middle. He also starred on The WB sitcom Unhappily Ever After as Ross Malloy. As of 2010 Berfield is Chief Creative Officer of Virgin Produced, a film and television development, packaging and production company announced in 2010 by the Virgin Group. Virgin Produced is based in Los Angeles, California. Berfield was born in (), the son of Gail Berfield (née Stark) and Eric "Rick" Berfield. He is the younger brother of actor Lorne Berfield. Berfield is Jewish. He bought and then later sold the house previously owned by Newlyweds: Nick and Jessica stars Jessica Simpson and Nick Lachey. Berfield's first screen appearance was in a Folgers coffee commercial at age five. He went on to appear in 20 other nationally-broadcast American commercials as a young child. His TV debut came in the short-lived series The Good Life in which he co-starred with Drew Carey. The following year, at age nine, Berfield was among some 3000 juvenile actors who were tested for Star Wars Episode I: The Phantom Menace to play the young Anakin Skywalker, the role that ultimately went to Jake Lloyd. More TV appearances followed in Hardball, The Boys Are Back , The Mommies (1994–1995). His first long-running TV role was as Ross Malloy in Unhappily Ever After (1995–1999), in which he notched up 100 episode appearances. Beginning in 2000 he gained international prominence with his role as Malcolm's trouble-making older brother Reese in Malcolm in the Middle. He appeared in all 151 episodes of that series, and with the recording of the 100th episode became the youngest actor in screen history to have appeared in 100 episodes of two different TV series. Since the conclusion of Malcolm in the Middle in 2006, Berfield has concentrated on production work, although he made a one-off appearance in the series Sons of Tucson in 2010. Whole or part of the information contained in this card come from the Wikipedia article "Justin Berfield", licensed under CC-BY-SA full list of contributors here.